5-31-03 Olympic, abortion bomb suspect Rudolph captured "[Eric] Rudolph, 36, faces federal charges in the July 1996 bombing at Centennial Olympic Park, which killed a Georgia woman at the Summer Olympics and injured more than 100 people. He is also suspected in bombings at an Atlanta abortion clinic and a gay nightclub, which caused injuries, but no fatalities." 5-31-03 RED ALERT: Bush needs another 9/11 "The idea that the World Trade Center and the Pentagon were attacked by a group of suicidal maniacs who envied our freedoms is beginning to wear thin. It wasn't the Al Qaeda that stonewalled any investigation into why this happened and then delivered the ultimate insult to victim families by appointing Henry Kissinger…to head up an investigation. 5-31-03 Divisions on Iran rattle Bush team "Some neoconservatives, such as former CIA analyst Reuel Gerecht, have even dangled the idea of pre-emptive military strikes on Iran's nuclear facilities if Tehran does not come clean on its suspected programs." 5-31-03 Why Baghdad fell without a fight Top Iraqi general bought off by the CIA? 5-30-03 Wolfowitz: Weapons claim made for "bureaucratic reasons" Yes, but is it true? 5-30-03 MI6 led protest against Blair's WMD dossier "The intelligence agencies' anger was heightened in February when another "intelligence" dossier put out by Downing Street contained information lifted from academic sources and included a plagiarised section written by an American PhD student." 5-30-03 "I simply don't believe the whole thing was a lie" In UK, pro-war pundits keep faith in reasons for war while MPs reveal discomfort that house may have been misled." 5-30-03 Sobran: Patriotism, Mom and the Bums "Bill Clinton once told us, 'You can’t love your country and hate your government.' You most certainly can. Many perfectly patriotic Americans found Clinton himself loathsome, disgusting, and shameful. It was because they loved their country that they hated having him symbolize it to the world." 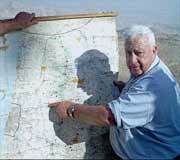 5-30-03 AIPAC hijacks "road map" Snap quiz Who declared: "What happened to all those nice peace plans. Israel's governments have mobilized the collective power of US Jewry—which dominates Congress and the media to a large degree—against them." Give yourself half a point for effort if you named Rep. Jim Moran, Pat Buchanan, Joe Sobran or any other well-known "anti-Semitic." But the correct answer is Israeli peace activist Uri Avnery (who, no doubt, is ridiculed as a "self-hating Jew" by rabid Israel Firsters). 5-29-03 Bush administration avidly pro-WMDs—when it wields them "The Bush administration has been increasing its support for missile defense while dismantling the international arms-control regime both by withdrawing from the 1972 Anti-Ballistic Missile Treaty and by putting forth a new nuclear-war-fighting doctrine. Whereas Reagan left office saying that a nuclear war can never be won and must never be fought, two decades later, the word coming from the Bush administration is that nuclear weapons are here to stay." 5-29-03 Clear Channelization of America starts on Monday Thanks to the FCC, on that date speech in America will be a little less free, independent voices a little less likely to be heard. 5-29-03 Neo-conservatives move quickly on Iran "Overshadowed until last month by their much louder drum-beating for war against Iraq, the neo-cons' efforts to now focus US attention on 'regime change' in Iran have become much more intense since early May, and have already borne substantial fruit." 5-28-03 "War on Terror" has made the world worse—Amnesty International "What would have been unacceptable on September 10, 2001, is now becoming almost the norm," Amnesty's Secretary-General Irene Khan told a news conference, accusing Washington of adopting "a new doctrine of human rights a la carte". The London-based watchdog also condemned Israel for committing war crimes and Palestinian militants for crimes against humanity. 5-28-03 Colorado bans Mexican ID cards One small step in the direction of immigration sanity. 5-27-03 Israeli settlers vow: "We will never leave" "For Elyakim Haetzni, a vitriolic pioneer settler in Hebron, Sunday's Israeli cabinet vote in favor of the road-map for peace in the Middle East was an act of 'national treason.'" 5-27-03 The fictional war on terrorism "Stop squandering money and our civil rights on boneheaded data-mining schemes like Total Information Awareness…and recruit some old-fashioned spies to infiltrate extremist groups. Charge the Guantánamo detainees with a crime or send them home; their legal limbo is an international embarrassment. Stop fingerprinting Muslim tourists--it's insulting and does nothing to prevent terrorists from entering the country.…"
Will "road map" lead to Middle East peace? 5-26-03 A very mixed marriage Bush's push for Israeli-Palestinian peace plan "will hit a potentially impenetrable roadblock at home: the deepening alliance between Jewish supporters of Israel and the growing ranks of Christian Zionists." 5-26-03 US internet giant pulls down Züdel website Shape of things to come for "Holocaust" revisionists? 5-25-03 Bush administration reportedly has cut off contact with Iran There's an alleged Iranian connection to the recent "suicide bombings" in Saudi Arabia. 5-25-03 Pro-Israeli Americans push Iran issue On May 12, Irving Kristol wrote in the Weekly Standard: "The theocrats ruling Iran understand that the stakes are now double or nothing…as success in Iraq signals the death knell for Iran." 5-25-03 N Korea ratcheting up tension despite aid "North Korea warned again on Sunday that South Korea cannot avoid 'an unimaginable disaster' if the North faced tougher measures by the United States and its allies over the nuclear crisis." 5-25-03 How rumors become news "The U.S. authorities never did specify any credible source for their reports of an attack in the Al-Hamra district of Jeddah." 5-24-03 Algerian anger rises with earthquake toll "As the death toll mounts toward 2,000 so has Algerians' frustration. Local Arabic and French-language newspapers were filled Saturday with editorials that condemned everything from substandard building practices to the ineptness of government officials in coordinating rescue efforts." 5-24-03 Smallpox vaccine linked to new problems The Centers for Disease Control and Prevention report that over fifty of the people receiving the shot have had heart inflammation, a reaction that the CDCP hadn't expected. 5-23-03 Officials 'Never Thought of an Airplane Being Used as a Missile' Oh, really? Then why did the North American Aerospace Defense Command (NORAD) and the National Reconnaissance Office (NRO) plan and conduct tests, respectively, before the 9/11 attacks?! The NRO actually had a simulation scheduled for the morning of September 11th! 5-22-03 "You've been living in a dream world, Neo" In the movie, "The Matrix," most of the people's minds are are controlled by the computers who rule the world. Columnist David Brownlow sees it as disturbingly similar to real-life America: "The premise of the movie, while science fiction, quite accurately sums up the political situation in our country. The parallels are uncanny. And it’s enough to take your breath away.…The dream world we are living in has become a nightmare. And it is quickly enslaving all of us." 5-22-03 Byrd: Iraq War "fuel" for terror The Virginia senator said the administration's apparently false claims about weapons of mass destruction as a pretext to wage war raise "serious questions about prevarication and the reckless use of power." 5-21-03 Bush vows no let up in terror war The president's remarks came on the heels of the Department of Homeland Security raising the nation's alert status to the "orange," or high, indicating a strong threat of terrorist attack. 5-21-03 Clear Channel ties to the Bush Administration Oh, so that's why they were organizing all those pro-war rallies. 5-20-03 Pataki declines Masons' invitation New York Governor George Pataki has backed out of his June initiation. (Gee, does this mean the Governor reads Real News 24/7?) Now, if he'll only do something about changing his pro-abortion and pro-homosexual policies! It's being claimed that he had not been aware of the Catholic Church's opposition to Freemasonry, which is more than a little hard to believe, but possible if he believes the errors widely promoted since Vatican II (for more on this, read our feature story, "George Pataki: Master Mason"). Here's a different article on the subject from Newsday. 5-20-03 Zionists call "road map" satanic The Interfaith Zionist Leadership Summit, held in Washington, was the occasion for much nonsense, such as Gary Bauer declaring that terrorists "don't understand why Israel and the United States are joined at the heart." 5-20-03 TV viewing advisory: If you're planning to watch the final part of the mini-series "Hitler: the Rise of Evil" tonight, you owe it to yourself to first read Real News 24/7's SPECIAL REPORT: "Hitler, Nazism and Zionism" to find out what CBS won't be telling you about der Führer. 5-20-03 WAR CRIMES: U.S. psychological warfare in Iraq Saddam's supporters are broken down by being forced to listen to the dark, pounding music of rock groups like Metallica for hours on end. Sgt. Mark Hadsell: “These people haven’t heard heavy metal before. They can’t take it.” No wonder they call us devils! 5-20-03 All the lies, fiction and bias that's fit to print When reporter Jayson Blair recently was caught falsifying news stories, he was not the first New York Times reporter guilty of journalistic malpractice—nor the worst. Walter Duranty reported from the Soviet Union during the reign of dictator Josef Stalin. But far from giving his readers an accurate picture of the murderous thug, he portrayed Stalin as a great statesman. "Thus during the great Ukrainian famine of the early 1930s, which Stalin engineered to crush millions of peasants who resisted his policies, Duranty dismissed other correspondents' reports of mass starvation and, though secretly aware of the full scale of the horror, effectively reinforced the official cover-up of one of history's greatest man-made disasters." 5-19-03 Mel Gibson praised for his Traditional Catholic beliefs Movie critic Ted Baehr is also critical of Christopher Noxon's anti-Mel article in the New York Times, saying it "dripped with sarcasm as it sliced and diced Mel Gibson for directing a movie on the last 24 hours of Jesus' life entitled 'The Passion.'" 5-19-03 The terrorists' turn at bat Pat Buchanan: "Are we willing to suffer continuing casualties in an endless war to stay on in the Middle East and "democratize" a region where tens of millions do not want us and thousands hate us enough to kill us until we get out and go home?" 5-19-03 Virus mimics Microsoft e-mail "Palyh has been particularly clever because, unlike some of its predecessors, it makes little effort to lure people into opening it." 5-19-03 The other side of Holocaust denial Dr. Henry Makow, whose grandparents died in Nazi camps, writing about "Holocaust" denier, Ernst Zundel (photo, left), says: "Zundel's claims are repugnant, but he has a right to be wrong. Society needs people to dispute the historical record. One may be right. If spreading false information is a crime, shouldn't we also lock up Tom Brokaw?" 5-18-03 Authenticity of Baghdad celebration photo challenged The Memory Hole website accuses the London Evening Standard of doctoring a picture of jubilant Iraqis that it used on its front page. The Standard insists the photo is genuine. You be the judge! 5-18-03 Suicide bomber disguised himself as religious Jew "Wearing a Jewish skullcap and carrying a prayer shawl, the Palestinian suicide bomber who blew himself up on a Jerusalem bus at the start of the Israeli working week Sunday blended in with the passengers he ultimately killed, police said. 5-18-03 IRS takes property after computer error; refuses compensation, declines to apologize In case you missed it. Subtitle: It's ours now! 5-17-03 Zimbabwe groups condemn expulsion of U.S. reporter Yet another foreign journalist forced out. Andrew Meldrum's "crime"? Same as the rest—exposing the tyranny of Marxist Robert Mugabe. 5-17-03 "Dirty bomb" victims may be shot British police consider plan that would authorize killing civilians. 5-17-03 special report Who's been changing the Inside of Roman Catholic churches? And Why? Here is a report within the special report on Governor George Pataki, listed immediately below. This report is FULL of pictures. While at first glance this article may seem to be "insider baseball for Catholics"— visitors will be astounded at the visual evidence that Catholic parishes around the USA are being transformed to look like Masonic Temples—as fast as the men in the Bishop's chairs think they can get away with it. We also explore the question: Just what was Paul VI doing in that spooky United Nations meditation room? 5-16-03 Feature Story Governor George Pataki:: Master Mason This feature story has much more to it that may appear at first glance. It delves into an aspect of our times which has impacted almost every human being in Western Civilization. 5-16-03 France says it was the victim of White House lies French officials have lodged a formal complaint accusing the Bush administration a "disinformation campaign" that falsely claims France provided military and diplomatic aid to Saddam Hussein's government. 5-16-03 Rocket fuel residues found in lettuce Bush administration imposes gag order on the Environmental Protection Agency. The substance, perchlorate, can damage the thyroid gland and cause birth defects.